This is your central location for everything to do with college football in 2018. 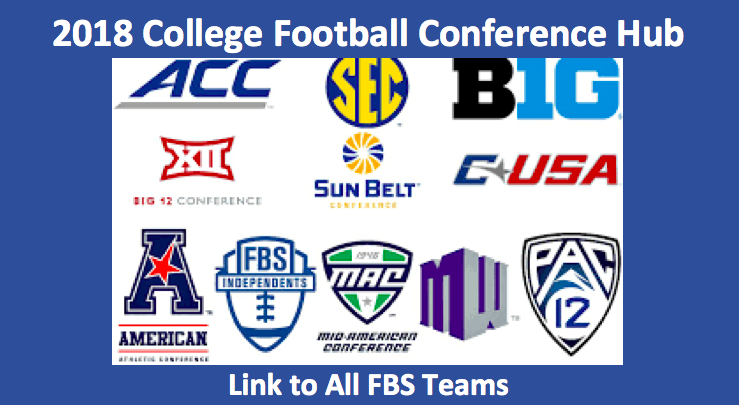 Our 2018 College Football Conference Betting Preview hub connects you to every major football conference, as well as the important independents. 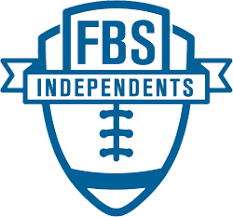 There are 130 Division I A college football teams that are part of the Football Bowl Subdivision (FBS). These are the teams that may be considered for a bowl bid. We offer comprehensive analysis of each one. Through our preview, you’ll be able to discover where each team sits in their division and conference. Plus, you’ll get a good idea about how they will do in terms of landing a bowl berth. Simply click on the name of that division to link to the conference division that you’re interested in. To return to our college football hub follow this link. Certainly, you’ll want to make sure that you check out our Top 25 College Football Betting Preview hub. 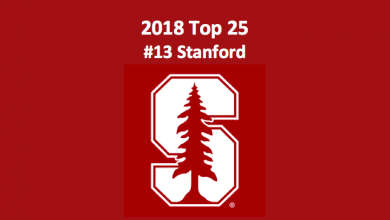 There you’ll be able to link to expanded previews of the football teams listed in the Coaches Top 25 prior to the start of the season. We analyze each team, from the number one Alabama Crimson Tide to the number 25 Oklahoma State Cowboys. Be an informed, smart NCAAF bettor and utilize this great resource. Our 2018 college football conference betting preview covers every conference and every team. The top five conferences in the rankings, which are determined by the NCAA, are known as the Power Five Conferences or Power Five. These are the most competitive conferences. Of course, sitting atop those five is the SEC. They’re followed by the Big Ten, Pac-12, Big 12, and ACC. 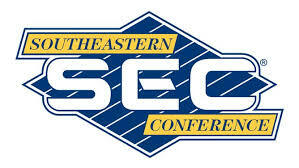 After the Power Five Conferences, we have the Independent Teams, those associated with no conference. Then there are the teams known as the Group of Five. 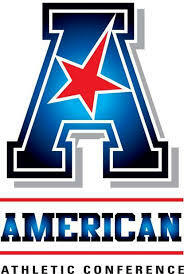 Also known as the G5, the top conference in this second-tier of clubs is the American Athletic Conference (AAC). 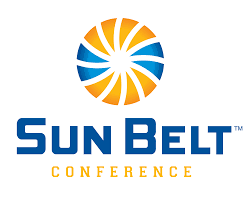 The lowest-ranked FBS conference is the Sun Belt. Rankings, by the way, can change. Although, it is rare to ever see much movement. The AAC is the top of the G5. It’s comprised of 12 teams divided into two divisions. The University of Central Florida Knights and Temple Owls in the East are the most competitive teams in this group. In the West, the Memphis Tigers and Navy Midshipmen are thought to be the best. The East is the better of the two divisions. Still, the West is quite competitive. Of the Group of Five, the AAC is considered to be the best. It’s ranked just below the highly competitive Atlantic Coast Conference. Be sure to read through both division previews. There are a lot of great betting opportunities with this conference. Our weekly picks at the end of the preview have been carefully chosen. In the Power Five, the ACC is ranked fifth. But that does not mean that it’s not a formidable conference. 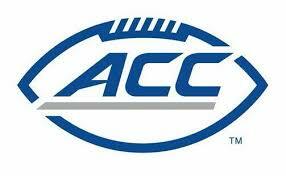 The ACC includes two divisions, the Atlantic and Coastal, with seven teams in each. 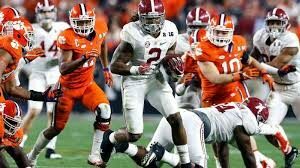 In the Atlantic Division, the Clemson Tigers and Florida State Seminoles look to be the teams to beat. The Miami Hurricanes should rule the Coastal Division, although the North Carolina Tar Heels could gum-up their chances of taking first in the division. My how the Big Ten Conference has grown! Ranked second amongst the Power Five, in creating our 2018 college football conference betting preview we discovered that the Big Ten is formidable in many ways. The two divisions feature seven teams each. In the Big Ten East, the Ohio State Buckeyes are expected to be the major force in the division. In the Big Ten West, the Wisconsin Badgers appear to have what it takes to dominate that group. The East is definitely the stronger of the two divisions, and along with OSU, it offers the Michigan Wolverines, Penn State Nittany Lions, and Michigan State Spartans. 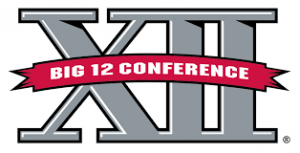 The Big 12 includes just 10 teams. Although the conference is not divided into divisions, they do, as of late, offer a playoff game at the end of the regular season. That game, which is between the teams that finish first and second, determines the Big 12 Championship. 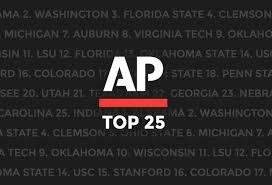 The Oklahoma Sooners, Texas Longhorns, and TCU Horned Frogs are included in the conference, which is fourth in the Power Five. Going into the 2018 college football season, those teams are ranked one, two, and three within the Big 12. Of the teams in the G5, the non-power conference clubs, those in C-USA are a peg above those in the SBC. That places C-USA fourth in the G5. The conference includes 14 teams with seven in the East and seven in the West. The East has the Florida Atlantic Owls as the frontrunner for the division crown with the Marshall Thundering Herd a gallop behind them and the Middle Tennessee Blue Raiders ready to challenge. The West should be ruled by the University of Alabama Birmingham (UAB) Blazers. There are six FBS teams that are not associated with any conference. These include the Notre Dame Fighting Irish, who are the top of the top. Other competitive independents include the Army West Point Black Knights and Brigham Young University Cougars. Rounding out the group are the New Mexico State Aggies, Massachusetts Minute Men, and Liberty University Flames. Both New Mexico State and Liberty are new Independents. 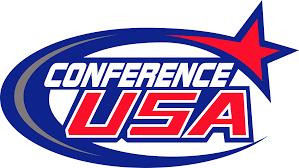 The Aggies had been in the Sub Belt Conference and Liberty had been an FCS team in the Big South Conference. They will be bowl eligible in 2019. What becomes clear is that this small group of teams is really a mixed bag. At times, due to the fact that they don’t have the consistency of conference play, the outcomes of their games can be difficult to predict accurately. The MAC is located right in the middle of the Group of Five, which is appropriate for a conference that includes “Mid” as part of its name. A dozen teams are in this group with six in the East and six in the West. The West, which includes the Ohio Bobcats, Miami Redhawks, and Buffalo Bulls, is the stronger of the two divisions. In the East, the Northern Illinois Huskies appear to be the team to beat. However, you can expect Toledo and Western Michigan to give those Huskies some top-notch competition. 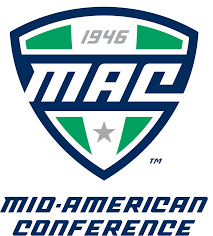 Although there are presently no top 25 teams from this conference, the MAC does contain numerous quality teams that can give some of the teams from the higher-ranked conferences a run for their money. The MW includes a total of 12 teams divided equally between the dominant Mountain Division and the West Division. The MW Mountain group includes the always competitive Boise State Broncos, as well as the Utah State Aggies and Wyoming Cowboys. Our 2018 college football conference betting preview finds that the Fresno State Bulldogs are the best club in the West. The MW is ranked second in the G5. 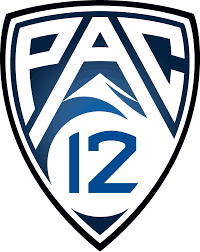 Each of the two divisions of the Pac-12, the North and South, include a half-dozen teams. The Pac-12 is third in Power Five conference ranking. It sets between the second-ranked Big Ten and fourth-ranked Big 12. The North, which is considered to be the better of the two divisions, the Washington Huskies look to be a viable candidate for the CFP series. But they will have to finish atop a division that includes the Stanford Cardinal and Oregon Ducks. Who from the South might play Washington for the conference crown? We think that the USC Trojans have the best shot at them. Although, as we performed our 2018 college football conference betting preview research, we discovered that the Utah Utes could have something to say about that. Plus, the fact is you never know with a conference like the Pac-12 where in any given week anything can happen. The SEC is the top college football conference in the U.S. That’s according to the NCAA, as well as our 2018 College Football Conference Betting Preview. Of the 14 teams in the conference, five are in the top 25. 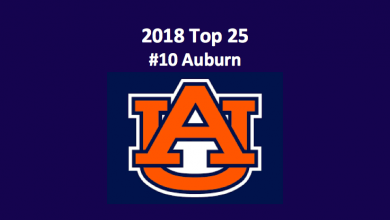 Alabama is first, Georgia is fourth, and Auburn is tenth. The other two are Mississippi State (18th) and LSU (24th). Of the two divisions, the West, which includes Alabama, Auburn, Mississippi State, and LSU, is thought to be the better. But never underestimate the SEC East, which is hugely competitive. Our 2018 college football conference betting preview that various teams in this division could be a real spoilers. Of the FBS conferences, the SBC is ranked last. However, that does not mean that they don’t field quality teams. Made up of two divisions, East and West, with five teams in each, the West is considered to be the better of the two divisions. Until this season, there had been 12 teams and no divisions. But Idaho and New Mexico State left the conference this year, and, consequently, it was reorganized. Idaho went to the Big Sky Conference (FCS), and New Mexico State remained a FBS team but became an Independent. In developing the 2018 college football conference betting preview, we’ve determined that in the West, the Arkansas State Red Wolves and ULM Warhawks are number one and two. Appalachian State Mountaineers are the top team in the East.